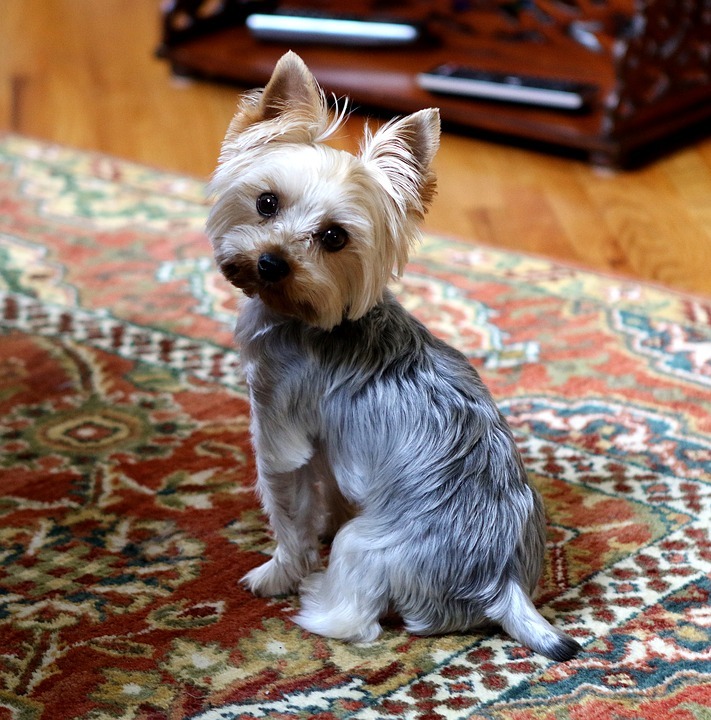 DO YOU HAVE PETS THAT ARE CAUSING URINE DAMAGE TO YOUR RUGS? HAVE YOU GIVEN UP HAVING RUGS IN SOME AREAS (IF NOT ALL!) IN YOUR HOUSE DUE TO URINE DAMAGE FROM YOUR PETS? We all adore our pets, and much like children, sometimes they do things that they shouldn’t! That Adelaide Rug Cleaning Studio understands! Accidents do happen, even with the most well trained pets. You may find it interesting to know that pet urine issues make up a large percentage of most rug cleaning work. Adelaide Rug Cleaning Studio has premium and economical rug cleaning solutions that can assist you. It’s time to bring back the rugs! There are 4 ways that pet urine can cause damage to your rugs. 1. FIBRE DAMAGE: pet urine can cause permanent fibre damage when it soaks into the rug. The damage may not be visible from a glance at the top of the rug, but take a look at the fibres on the back. The pet urine salts have the potential to cause rot and mildew and this acts as a food source for bugs which can eventually cause a hole or holes in the rug. 2. COLOUR-BLEEDING: pet urine has ammonia in it. This ammonia once on your rug can cause the colours and dyes in your rug to start to bleed, particularly on silk rugs. 3. ODOUR: pet urine certainly does not have a pleasant smell to it! However, sometimes our noses can start to get use to it and we may not even realise over time that our rugs are emitting an unpleasant odour that has been caused by the pet urine. Top cleaning the rug won’t work – because the odour is in the foundation of the rug. 4. STAINS: decomposing pet urine can stain your rug. It may appear at times to be quite a small stain on the top of your rug, but look underneath and you will see the stain is a lot larger and causing a lot of damage – much like an iceberg. It is time to get on top of the pet urine damage to your rugs. Don’t let your pets hold you back from having beautiful rugs in your house. 1. SPOT REMOVAL PLAN: partner with Adelaide Rug Cleaning Studio to get a spot removal cleaner that you can instantly use before the pet urine begins to soak into the rug. 2. WASHABLE RUGS: purchase rugs that can be easily washed – woven rugs with a colour fast dye are a recommendation. If your pet goes where they shouldn’t, then pop the rug into the wash or phone Adelaide Rug Cleaning Studio to arrange the washing for you. 3. BUSY DESIGNS: purchase rugs that have a busy design, that way it is not quite so easy to spot a stain from pet urine should it occur (though I guess we could say that is like ‘trying to sweep the problem under the carpet!’). 4. RUG PADS: keep rug pads underneath your rugs to protect your floors . 5. FIBRE PROTECTOR: apply fibre protector to your rugs to suspend the damage that pet urine can do. Also another handy tip for making living with your pets and your rugs easier, is that your rugs should be washed every one to three years to keep them fresh and in good condition. Contact Adelaide rug cleaning studio, Richard Berry today: your respected and industry training rug cleaning specialist, to book your rugs in for a clean.